While there are many great facets of the film, the two greatest are the abundant use of practical effects and the soundtrack. 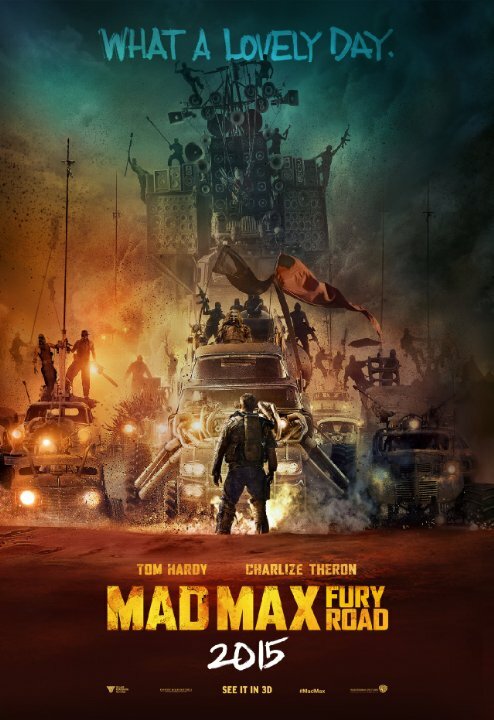 On IMDB.com’s Mad Max: Fury Road trivia page, it is reported that over 80% of the effects in the film are practical. That is amazing! Most movies (ESPECIALLY action movies) are replete with CGI, sometimes to the extent that it feels like one is watching a presentation of computer effects rather than a real movie. 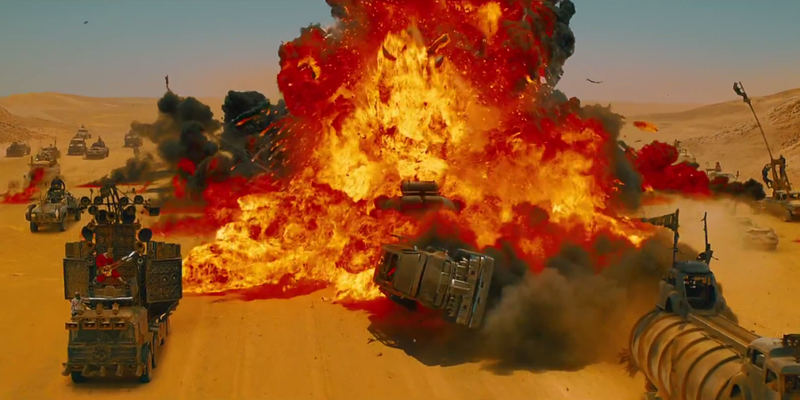 In contrast, Mad Max: Fury Road is laden with real movie magic. 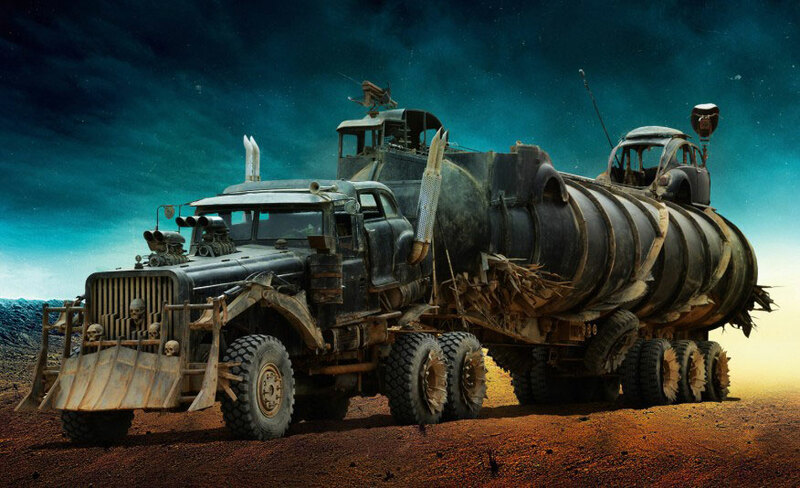 The cars, explosions, terrain, costumes, makeup and sets are largely real, and that bestows an old-school aesthetic weight that only comes from the genuine article. NOTE: While I have a lot of love for the practical effects, I do have a huge compliment regarding one CGI element: I LOVE the nighttime scenes. Most movie directors film nighttime shots during the day and later add a cheesy greyish filter to make it look like it’s dark out. Rather than grey, MMFR’s nighttime shots are given a rad blue filter. This makes them not only different from the stupid grey filter effects but also strikingly gorgeous. That guy has a true Battle Axe. Also special is the soundtrack. It’s almost like all the great elements of Gladiator’s score and The Matrix’s score were mixed together to make the ultimate action movie soundtrack. Wailing guitars, pounding drums, soaring strings…all these things are applied with the utmost taste and create an environment where the excitement isn’t just viewed but heard, too. I especially liked the implementation of the War Rig’s horn. I specifically liked two things. First, rather than just putting in arbitrary loud, low bwaaaas, the score/sound guys used the truck’s horn as the source of the bwaaaas. This made the new staple of action movie scores slightly less contrived. 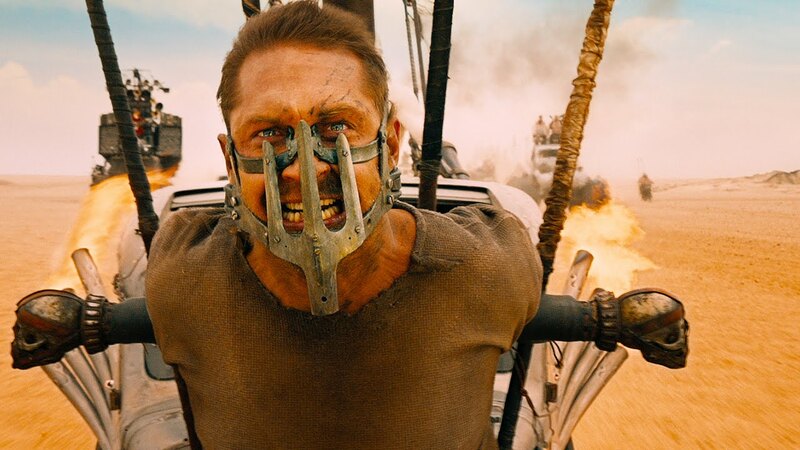 Tom Hardy in yet another mask. Second, I enjoyed how editing and pacing was dictated by the horn, specifically in transitioning from the first to the second act. When Furiosa realizes she’s being chased, she grabs the pull string, gives it a big pull, and the second act is ushered in with a deep, resonant, epic bwaaaa. Would that every bwaaaa could be so deftly administered. It’s always fun when MacGuffins are human beings. In the end, there are lots of other nice things to say about the movie, but it seems egregious to keep going. 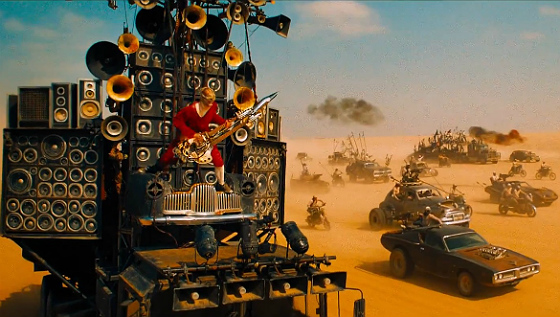 The main thing is, Mad Max: Fury Road is a very good action movie. Iwis, every action movie should be like this from now on. Grant Stevens likes writing succinct movie reviews and winning awards for his efforts. He has written for this website and the Christian Chronicle. He is also El Rey of the Use Ironic Correctly Society, and he is into apologetics. What is this movie rated? Is it filled with violence? Great thought-filled review, Grant! It is rated R. It does have violence, so viewer discretion definitely advised.